Denyse Henry is currently the CEO & Founder of the CAAC. Canada first not-for-profit Organization established for professionals working in various ambulatorycare areas. She has completed her master degree in Health Management at McMaster University, Hamilton, Canada. Dr. Bjöörn Fossum is a pediatric nurse and holds a PhD from Karolinska Institutet, Stockholm, Sweden. Since 2013 he is professor in nursing sciences at Sophiahemmet university, and senior researcher at Karolinska Institutet, Department for clinical science and education Södersjukhuset. He has conducted scientific work in communication in the health care system, as well as supervised several PhD-students in areas like: person centredness; early detection of pressure ulcers; being infected with MRSA; the team of palliative care; interprofessional training; experiences of living with inflammatory bowel disease; pedagogical interventions; communication on blogs regarding infertility, the experience of home care after allogenic hematopoietic stem cell transplantation; experiences of family members to older adults who have developed neuropsychiatric symptoms, and nursing communication with persons with chronic obstructive pulmonary disease, among others. He is an editor of a text book in Swedish about Communication in the health care system, the third edition is coming during 2018 and one chapter is about complaints in health care. Emilia Campos de Carvalho, RN, PhD is Senior Professor at University of São Paulo at Ribeirão Preto College of Nursing (EERP-USP), Brazil. She is a teacher and advisor of nursing students in doctoral, masters and undergraduate courses. Has several clinical researches published in journals. Has experience on the following subjects: nursing process, simulation, communication, and clinical trials. She is a Scholarship in Research Productivity of The National Council for Scientific and Technological Development – CNPq. Specialist Professor, PhD, Seton Hall University, MSN, Kean University. Certified School Nurse. Specialty areas and interests include school nursing and emergency nursing. Specialty areas and interests include school nursing and emergency nursing. Margaret Delaney E.d.D., A.P.R.N., CNP-BC received her BSN from Loyola University in Chicago, IL, Masters in Science, as a Pediatric Nurse Practitioner from DePaul University, Chicago IL and completed her Doctorate of Education in Higher Education and Organizational Change from Benedictine University, Lisle, Illinois. She is an assistant professor in the Department of Nursing and Health at Benedictine. Her course specialties are family health, population-based health, community, and leadership clinical, health assessment, advances pediatrics and nursing leadership. She served as a Clinical Educator and Clinical Research Coordinator where she oversaw unit and institutional education initiatives, as well as multiple clinical research studies, and assumed the role of Nurse Practitioner caring for the pulmonary/asthma and allergy population. Margaret is an active board member of Sigma Theta Tau, a member of the American Academy of Nurse Practitioners, and the American Nurses Association. Penny Gill has been a nurse for over fifty years in Cape Town, South Africa. Recently retired as a university lecturer she is taking a gap year before deciding where her next educational journey will lead her. She is a Pediatric Nurse and has been a Nurse Educator since 1986. 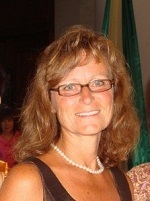 Her special interests are curriculum design and the use of innovative teaching strategies using educational technology. Since 2008 she has been the Coordinator of an Extended Nursing Curriculum Program at a University of Technology where previously educationally, disadvantaged first year degree nurses complete their first year over two years. This Program has enabled her to spend time with her students in developing various teaching strategies using modern technology to help the students engage with the curricular content using guided constructivism. The students then successfully integrate into the second year mainstream degree program. Prof.Dr.Gülten KAPTAN ATESOGLU graduated from Istanbul / Maltepe High School in 1977. she completed her university education in Hacettepe University Nursing High School between 1978-1983 and received her undergraduate diploma. Between 1985 and 1993, she worked as a research assistant and lecturer at Cumhuriyet University Nursing High School. In 1989 he received her diploma from the same university. Between 1993-1995, she worked as a lecturer at Van 100. Yıl University Health Services Vocational High School Nursing Department. she received her Ph.D. degree in Internal Medicine Nursing from Hacettepe University Health Sciences Institute in 1997. Celal Bayar University, Vocational School of Health Services Vocational Higher Education Department and Deputy Director in 1997, Celal Bayar University, School of Health, Assistant Professor title, and served as assistant principal. In 2005, he became an associate professor in the Department of Internal Medicine Nursing at Celal Bayar University School of Health. she has also worked as the Assistant Director of the Institute of Health Sciences at Celal Bayar University and as the Director of the School of Health at the same university and the Director of Nursing Services at the Educational Research Hospital of Celal Bayar University. she then worked as a professor at the Istanbul Arel University School of Health Sciences and is currently the Head of the Vocational Higher School of Beykoz University. Gülten KAPTAN ATEŞOĞLU who has many national and international publications and books in her field. 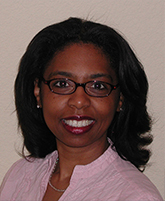 Millicent M Malcolm, DNP, GNP-BS, AGPCNP-BC, APRN, FAANP, is an Assistant Clinical Professor at the University of Connecticut School of Nursing. She was the Primary Investigator for Geriatric Outreach and Training with Care (GOT Care! ), a 3 year/1.4 mil government funded Inter professional Training and Outreach Project. This project showed promise for inter professional collaborative education and practice as a means to improve vulnerable patient outcomes. Dr Malcolm has been a specialist in the care of older adults for over 30 years, board certified as a Gerontological Nurse Practitioner for the past 18 years. Dr. Malcolm’s clinical practice focuses on home visits for frail older adults. Her research interests include inter professional training and practice, and reducing risks and preventing iatrogenic suffering for older adults. Dr. Malcolm was awarded the Connecticut Nurse Practitioner of the Year in 2015, and was inducted into the Fellows of the American Association of Nurse Practitioners in 2016. Dr. Aboul-Enein began his nursing career in Saudi Arabia working in primary care. He held several positions, including staff nurse on a renal transplant unit, nurse practitioner in triage services, senior instructor, hospital staff development and administrative supervisor, associate director responsible for highly successful overall performance and outcomes for multiple units, organization-wide programs, performed while working within academic community hospitals and organizations. In addition, he has taught at several universities at undergraduate, graduate, and doctoral levels, both online and in the classroom. Dr. Aboul-Enein has published in numerous peer-reviewed publications including the Journal of Public Health and International Journal of Nursing Practice. He has published two books in the area of health care management and health care history. He has conducted many presentations, internationally and nationally. Dr. Aboul-Enein was a nurse practitioner reserve officer in the U.S. Public Health Service Commissioned Corps reserve with the rank of Lieutenant Commander. He has won numerous awards such as the Spirit of Nursing award from the U.S. Army Nurse Corps and the Best Nurses award in 2006 from the Texas Nurses Association. Dr. Aboul-Enein is a Fellow of the American College of Health Care Executives, Fellow of the National Academy of Practice- Nurse Scholar and a Fellow of the Royal Society of Public Health. He is an experienced health care leader with expertise in innovative program development and health care strategy. Ann K Peton established and the Director of the National Center for the Analysis of Healthcare Data (NCAHD) located in Blacksburg, Virginia. The mission of NCAHD is to provide data mapping and analysis support of advocacy, healthcare education planning/expansion, research, and other healthcare workforce planning at the national, state and local levels using the nation’s most complete collection of physician and non-physician data, demographic, socio-economic, and political data. Donna L. Petri completed her nursing education at Bethel College, Kansas, USA and Deakin University, Geelong, Australia. 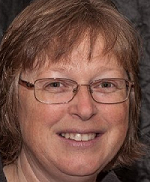 She was a faculty member in the School of Nursing at Thompson Rivers University (TRU) for 27 years with a focus on communication, cultural safety, cultural sensitivity, and international practicums. She developed and led international practicums in four different countries over 10 years. She has numerous local, national and international presentations, including keynote addresses related to the pedagogy of international practicums. She is currently serving in the capacity of Associate Vice President Academic at TRU. Sonia Cottom has been Director of Pain Association Scotland for three years – a national charity providing self-management training and support for people burdened with chronic pain. With a degree in Business Administration, she is continuing to underpin the work of the Association through her research work with the University of Oxford. Sonia is a member of the Institute of Directors (IoD) and recently received the IoD Emerging Director of the Year Award as well as the Sayer Vincent Charity Accounting award for excellence and has published her work in a number of Healthcare Journals. João R. Mesquita (D.V.M., M.Sc. ; Ph.D.) is a Professor at the Polytechnic Institute of Viseu where he teaches topics within Infectious Diseases for more than 10 years. On the past decade he has focused on Virology, where he has published 44 papers in Scopus indexed Journals. He has won several scientific prizes from different societies and conferences, where he has presented numerous oral and poster presentations. His research interests are focused on animal and human virology, mainly on zoonotic viruses, with special interest on surveillance tools and epidemiology. She graduated in first place from Hacettepe University in 1989. She won the İhsan Dogramacı Superior Merit Award and Science Incentive Award. She earned her pilot’s license from Republic of Turkey Ministry of Transport. She studied about counseling on assisted reproductive techniques at Liverpool Women’s Hospital Reproductive Medicine Unit in United Kingdom on the British Council Research Scholarship. She earned a certificate in management and leadership in nursing. She is an active member of Thematic Network leadership work group. She studied as a research scholar at Kent State University College of Nursing in 2006 for 3 months. In 2007, she worked on a project named “Development of Leadership Skills in Nursing Doctoral Students” at University of Michigan Faculty of Nursing on an international research scholarship which was supported by International Network for Doctoral Education in Nursing (INDEN) and Sigma Theta Tau and provided to only three people around the world every year. She worked as a research assistant at Hacettepe University School of Nursing in the Maternity and Women's Health Nursing Division from 1990 to 1997. She was promoted to assistant professor in 1998, associate professor in 2006 and professor in 2012. She worked as a Co-Head of Nursing Department, Erasmus Department Coordinator, Head of Strategic Planning Group and board member of Hacettepe University Women’s Research and Implementation Center (HUWRICH) between 2009 and 2011. Her interest subjects are sexuality and reproductive health and management and leadership. She is member of national and international nurse’s organizations such as INDEN and Sigma Theta Tau. She has been working as a Director of Nursing Services at Hacettepe University Hospitals between 2012-2016 and Founding Dean of Faculty of Nursing. She has published more than 70 papers, 15 grant projects, eight books as an editor and author, and more than 100 presentation in the national and international congress. She is also invited speaker more than 60 congress and symposium. She has working as a Dean Faculty of Health Science and Director of Nursing of MLPCare in Istinye University. Dr. O’Toole has been involved in international outreach related to rehabilitation and curriculum development. Her work has been funded by the United States Agency for International Development (USAID), the Health Resource Services Administration (HRSA), the Fund for Improvement of Secondary Education (FIPSE) program of the United States Department of Education and the Erasmus+ program of the European Commission on Higher Education. In 2017 she served as a Fulbright Specialist in Jordan. Dr. Marie O’Toole’s primary program of research is academic lexicography. Dr. O'Toole has served as the editor of multiple editions of dictionaries and encyclopedias, including the award winning Mosby Dictionary of Medicine, Nursing and Health Professions. She continues to edit the Mosby series of dictionaries. Dr. Geetha Jayaram is a senior faculty member in the Departments of Psychiatry, the School of Health Policy and Management, Global Health, and The Armstrong Institute for Patient Safety at Johns Hopkins University School of Medicine in Baltimore, Maryland. She directs a community psychiatry inpatient service, has directed several outpatient programs, and is an attending physician in the Department of Psychiatry at Johns Hopkins Hospital. She had a private practice for over 2 decades. As a highly respected clinician leader and administrator, she has developed and directed a quality assurance program that is unique in psychiatry. Isabel Alvarez is an Associate Professor at Autonomous University of Barcelona, Spain. Isabel Alvarz has completed her PhD at the age of 28 years from University of Barcelona. She has several papers in reputed. Her interests are in helping to understand the communication between health professionals and patients by providing tools for that communication. Associate Professor, Dr. Azizollah, Arbabisarjou, RN,MSN, PhD, obtained his first academic degree in 1997 in the Nursing management field. 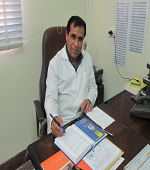 He joined as faculty member to Zahedan University of Medical Sciences, IRAN. He received his doctorate(PhD) from University of Isfahan in field of Educational Administration in 2011. He has worked as manager of Curriculum development in EDC. Currently, I am the chairman of Department of Nursing management and nursing procedures at Zahedan School of Nursing, He has published numerous referred papers about patient teaching, knowledge management, management and so on in ISI, Non-ISI and Scientific-professional journals. Dr. Arbabisarjou is teaching for Master students of Information Technology management, MBA and Educational Administration. Also, he has conducted numerous consulting and research works for masters’ student and colleagues. "WAMS, The World Academy of Medical Sciences"
Geraldine Marrocco is an Associate Professor of nursing in the Primary Care Division and an adult nurse practitioner. She received her bachelor’s degree in nursing from Western Connecticut State University and her master’s degree from Hunter College in New York majoring in medical surgical nursing. Dr. Marrocco earned a doctoral degree in education from Teacher’s College/Columbia University majoring in disease prevention and health promotion. Dr. Marrocco completed a postmasters certificate as an adult nurse practitioner from Adelphi University in New York. Prior to Yale School of Nursing, Dr. Marrocco taught in the graduate nurse practitioner program at Hunter College in NYC. Dr. Marrocco has taught at all levels of nursing education, primarily in adult and geriatric primary care, medical surgical nursing and critical care. She has a particular interest in the constructiveness theory to achieve transformational learning, incorporating the use of technology and learning activities that include active participation in the class. She also promotes interprofessional learning opportunities through her involvement with Yale School of Medicine programs including the Connecticut Older Adult Collaborative for Health (COACH) program.She serves as a member of Connecticut’s State Board of Nurse Examiner. In August 2015, Dr. Marrocco was selected to serve on the National Council of State Boards of Nursing Committee to examine Advanced Practice Nursing Educational programs. Dr. Marrocco is the past President of Delta Mu, YSN chapter of Sigma Theta Tau International, a member of the Connecticut Advance Practice Registered Nurse organization and serves on the Advisory Board of the Nightingale Initiative for Global Health (NIGH) and Connecticut Hospice. She serves as one of the chief Editors of McGill’s Medical Encyclopedia, (Greyhouse Publishing).Dr. Marrocco is the recipient of 2 teaching awards, the Rosenkranz (2015) and the Webber(2016). Both awards provide funding to examine the use of technology in graduate education.In June 2017, Dr. Marrocco was inducted as a Fellow in the American Academy of Nurse Practitioners highlighting her involvement in clinical practice, policy initiatives and graduate nursing education.In 2010, she received the prestigious Annie Goodrich Excellence in Teaching Award, presented by the students. 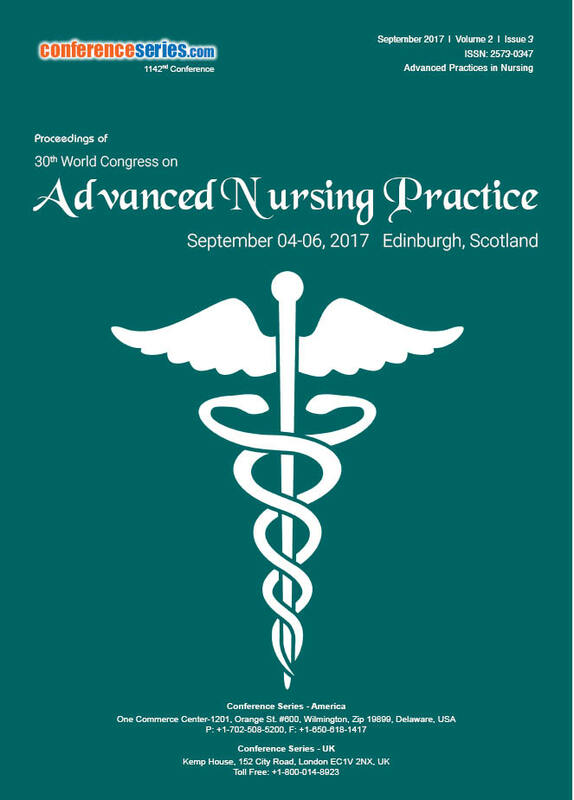 Methods to achieve transformational learning in nursing education as well as policy and leadership in advanced practice nursing. Susanna Lyubarsky is currently working as Senior Director, Case Management at Mount Sinai Health System at Central Michigan University New York, USA. She was the Director for Case Management and Bed Capacity at Hackensack University Medical Center, New Jersey, USA. She was also the director for Case Management in Mount Sinai Hospital, USA. She completed her Phd in Nursing. mily trained at the Nightingale School of Nursing at St Thomas’ Hospital and has been a nurse for over 25 years. Before joining the team at the Royal Hospital for Neuro-disability, she was the Clinical Director of the Kent, Surrey and Sussex Air Ambulance. Emily has a PhD in ward leadership and has undertaken a management course at Harvard Business School, Boston, USA. She has a role as a senior research fellow at both the University of Surrey and the University of Brighton. Her research interests centre around the patients experience of trauma care and hospital ward leadership. Emily lives in Hove and is an enthusiastic sea swimmer. Jean Du Plessis is the Head of Service of Neonatology at Fiona Stanley Hospital, Perth, Western Australia. He is also an Adjunct Associate Professor at University of Notre Dame, Fremantle. In addition to long standing clinical career, he also possesses excellent administrative and diplomatic skills and has track record of successful delivery of high quality patient care to the population of South Perth. He has been closely involved with University of Western Australia. He is currently an Investigator of various clinical trials running in the Neonatal Unit. His research interests include innovations to improve Neonatal Health Care. Dr. Todorova holds Doctor of Nursing Practice degree from the University of San Diego. She is a Clinical Associate Professor and a co-chair of the Planetree executive committee at National University, USA. She is a nationally board-certified Family Nurse Practitioner. She practices in Internal Medicine and has held a position with clinical privileges at Scripps CV and Thoracic surgery. Her clinical practice has afforded her the expertise needed to serve as a preceptor for graduate nursing students. She is a member of Sigma Theta Tau honor nursing society, California Association of Nurse Practitioners and the American Association of Nurse Practitioners. Issues in Internal Medicine; Exploring collaborative models in primary care; Population-specific glycemic management in cardiothoracic surgery; Simulation in accelerated Family Nurse Practitioner programs. Graduated from University of California, Los Angeles in 2000 with a Masters of Science in Nursing. Dr. Kay is a Board Certified Family Nurse Practitioner with a Subspecialty in Neuropsychiatry. Her clinical experience is in the areas of Internal Medicine, Pediatrics, Rheumatology, and Mental Health. She attained her PhD in Nursing from University of Texas, Medical Branch, School of Biomedical Sciences in 2016. Her research interest is in psychoneuroimmunology. Her current research focus is in sleep and stress in older adults. She has published in the Journal of National Black Nurses' Association. Dr. Kay is currently serving as the Associate Director for National University, Los Angeles Campus, Department of Nursing. Her volunteer works include homeless healthcare outreach in homeless shelters in Glendora, Covina, Hacienda Heights, and San Dimas and medical/dental mission trips to the provinces in the Philippines. Dr S.Afshin Shorofi has attained his PhD from Flinders University of South Australia, where he subsequently started working as a Research Associate in Health Care for Older People. He is currently an Adjunct Research Fellow at Flinders University (Australia), and an Assistant Professor at Mazandaran University of Medical Sciences (MUMS-Iran). In addition, Afshin is the deputy head of the Traditional & Complementary Medicine Research Center and the Center for History & Ethics Studies at MUMS. Afshin is also holding an adjunct academic position in the Traditional & Complementary Medicine Research Center and is an adjunct researcher in the Orthopedic Research Center at MUMS. Afshin’s position includes research and teaching responsibilities, supervision and mentoring of undergraduate and postgraduate students. He is nationally well known for his publications so that he has published 17 books in the fields of Nursing, Midwifery and Medicine irrespective of his papers in peer-reviewed journals. Elected as the deputy editor of “Complementary Therapies in Clinical Practice” (an Elsevier’s journal), Afshin is also serving several well-reputed journals as an editorial board member, an editorial advisory board member, or an associate editor. Afshin has been awarded prizes and honors for teaching excellence, outstanding research and overall academic achievement. Afshin's principal research interests are as follows: aged care; complementary and alternative medicine; critical care; holistic care; and palliative care. Bernadette Dorsch Curry is Dean Emerita and Professor at Molloy College. She holds a Baccalaureate degree from Niagara University, a Master’s degree in Nursing from the State University of New York at Buffalo, a PhD in Educational Administration, Organization and Policy from the University at Buffalo, and a Certificate in Leadership from Harvard University. In addition, she has been inducted as a Fellow into the American Academy of Nursing. She has held academic and clinical roles, including faculty, chair, enrollment coordinator, and advancement officer at varied institutions. As Dean of the school of Nursing at Molloy College, she initiated the PhD program. Dr. Curry has delivered numerous presentations at community, regional, national and international venues, including France, Belgium, Canada, Ireland, and Austria. She was presented a medal by the French Navy in recognition for achievement in nursing education. She has been an active participant and officer in a variety of professional organizations including Sigma Theta Tau International, American Nurses Association (ANA), International Network for Doctoral Education in Nursing (INDEN), American Assembly for Men in Nursing (AAMN), American Association for French Speaking Health Professionals, Greater New York, Nassau, Suffolk Organization of Nurse Executives. She sits on a number of boards, serves as a Commission for Collegiate Nursing Education (CCNE) Team Leader for evaluation of nursing programs, mentors doctoral students, and participated in the first Taking Care at the Bedside (TCAB) national initiative. She has published a variety of articles, including those requested for repository in the Jean Piaget Archives in Geneva, Switzerland and McGill University in Montreal, Canada. Currently, she is writing a book on Doctoral Education, and recently completed a study on the Motivation of Men in Nursing to Pursue the PhD degree. Dr Thomas Harding is currently a Senior Lecturer in the School of Health Sciences at the University of Canterbury, New Zealand. He has previously held Associate Professorships at the Eastern Institute of Technology, New Zealand, Australian Catholic University, Sydney, Australia and in the Department of Health, University College of Buskerud and Vestfold, Norway. A nurse since 1982 he has worked extensively in clinical practice and education in New Zealand, Australia, Saudi Arabia, Great Britain and Norway. He completed his PhD in 2005 where he used discourse analysis to explore the experience of men who are nurses. Subsequently, he has published numerous articles, written several book chapters, and presented widely at conferences nationally and internationally. His current research interests focus on nursing education, workforce development, and gender and cultural issues in nursing. 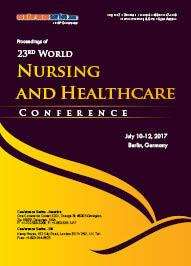 research interests focus on nursing education, workforce development, and gender and cultural issues in nursing. Dr. Metcalfe is an Associate Professor at Western Carolina University in Asheville, North Carolina, USA. Previous academic appointments have been as Interim Director of Nursing and also as the Dean of Nursing for a private college. She has been an educational grants researcher with colleges and hospitals. Currently, she is serving on the Board of the North Carolina Nursing Association Foundation. Her research agenda is on global leadership development and mentoring transformational nurse leaders. She has been serving as the Program Director of the NN-CAT Program (Nursing Network-Careers and Technology), a national program that provides scholarships, stipends, and personal mentors to underrepresented ethnic minority students. Associate Professor Elisabeth Jacob is currently the Associate Dean (Nursing) at ECU. She practiced as a registered nurse for over 20 years in both rural and metropolitan hospitals. She completed her PhD through Monash University in 2014. She has published more than 30 papers in reputed journals. Elisabeth’s research interests include: development of the nursing workforce; skill mix and its effect on patient outcome. 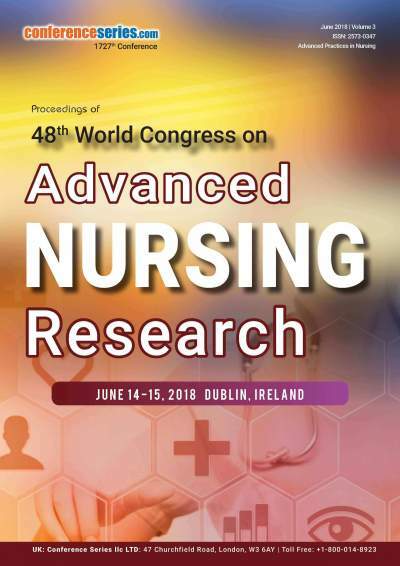 Critical thinking and patient outcomes; acute nursing and mixed methods research. Beth Harkness has over a decade of experience providing clinical care and disease management to the pediatric and adult cystic fibrosis population and managing cystic fibrosis research at Children's National in Washington, DC, USA. Her special area of interest focuses on the diagnosis of cystic fibrosis disease and connections to care for the population affected with this genetic disease. 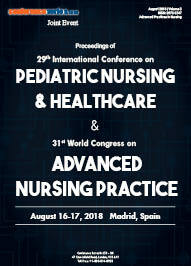 In 2009 Beth conceptualized and implemented a program for the advancement of Genetic/Genomic awareness and education at Children's National and now works in collaboration with National Institute of Health (NIH) on Methods for Introducing New Competencies (MINC) in nursing. Azjargal Baatar has completed her MScN at the age of 36 years from Andhra Mongolian National University of Medical Sciences and doctoral studies from Mongolian National University of Medical Sciences. She is the faculty members of the Department Midwifery. She has published more than 25 papers in reputed journals and has been serving as an editorial board member of repute. Gizem Beycan Ekitli is a member of Psychiatric and Mental Health Nursing Department, Nursing Faculty, Ege University, Turkey. She is also a certified CBT therapist approved by The European Association for Behavioural and Cognitive Therapy. Research Interest: She has expertise in psychotherapies, test anxiety, musical interventions on wellbeing and supports several research initiatives examining LGBT+ population. She has expertise in psychotherapies, test anxiety, musical interventions on wellbeing and supports several research initiatives examining LGBT+ population. Joseph Tan, PhD, formerly Wayne C Fox Chair of eBusiness Innovation, and currently, Professor of eHealth Informatics, DeGroote School of Business, McMaster University, is the founding and ongoing Editor-in-Chief, International Journal of Healthcare Information Systems & Informatics with a professional background that spans a broad spectrum of interdisciplinary and trans-disciplinary research area. A lead investigator in redefining the frontiers of multidisciplinary Business and Health IT knowledge development, management and expansion, including active involvement in collaborative research and multidisciplinary joint-grant submissions, Dr. Tan has demonstrated skills and ability to serve in both academia and industry. He has achieved recognized scholarship in teaching and learning with students’ nominations for teaching excellence awards. Promotion in e-Health informatics through cross-disciplinary thinking/project partnering with diverse practitioners, clinicians, researchers, and a variety of user communities. Lecturer, Faculty of Nursing and Health Care, Department of Nursing, Baika Women’s University. Nursing education, Fundamental nursing, Nursing management, and Health Informatics. Tunis- El Manar University of Tunis-Tunisia. ACHOUR Radhouane is associate professor at faculty of medicine of Tunis-Tunisia; He has published many basic and clinical articles in relation to gynecology and obstetrics. , his research interests include Rare Diseases in gynecology and prenatal diagnosis. He serves as associate professor, Emergency Department of Gynecology and Obstetrics in maternity and neonatology center Tunis Tunisia. He also serves as member of the editorial team for: Asian Pacific Journal of Reproduction, the Global Journal of Rare Diseases, Journal of Neonatal Biology, Current pediatric research, Obstetrics and Gynecology: Open access, Pediatrics and Health Research and Member of the Science Advisory Board.